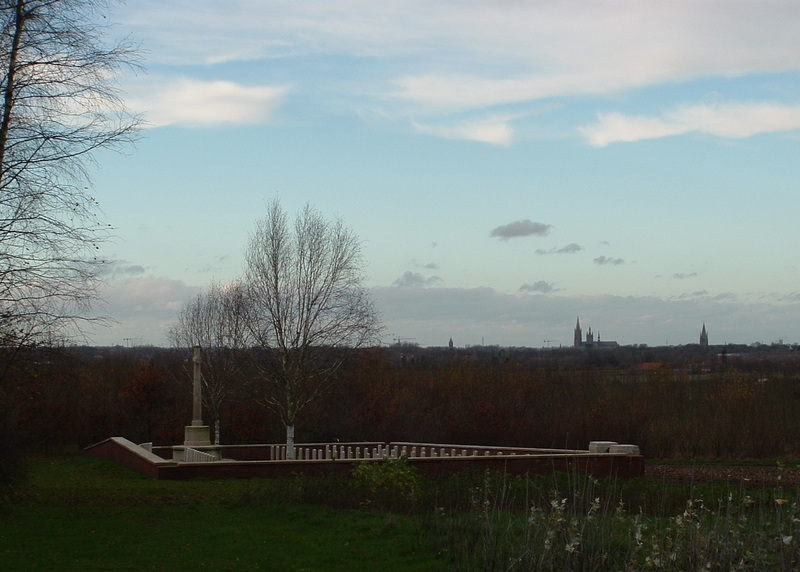 Some five years ago now, I published a series of eight posts taking you round the cemeteries south of Zillebeke lake, its rather ungainly title, ‘A Tour of Zillebeke (South)’, being at least accurate, if hardly tongue-tripping. Since then, Baldrick & I have visited the other cemeteries in the vicinity of Zillebeke, as well as one or two other sites of interest, all of which have been posted here as individual posts as and when I deemed them ready. It seemed to me that it was high time that all these posts were combined into a single coherent tour of Zillebeke, partly for those of you who use these tours on your travels to the battlefields, but also for everyone else out there who can’t visit, and for many newer readers who may never have read these posts from a few years back. This is a living breathing blog, folks, and nothing here becomes irrelevant over time. So now, over a total of fifteen posts, you can tour the cemeteries to the south of the lake, just as before (with a few additions), and then move on to Zillebeke village, and find yourself on Hill 60 near the end. Hopefully it all makes more sense now – the new, improved, ‘Tour of Zillebeke’ starts here. This entry was posted in Zillebeke. Bookmark the permalink.